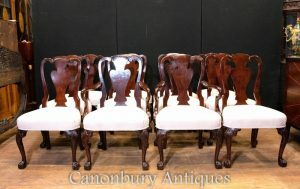 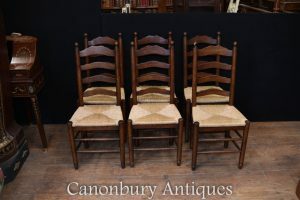 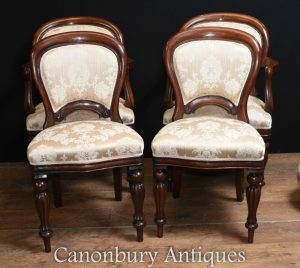 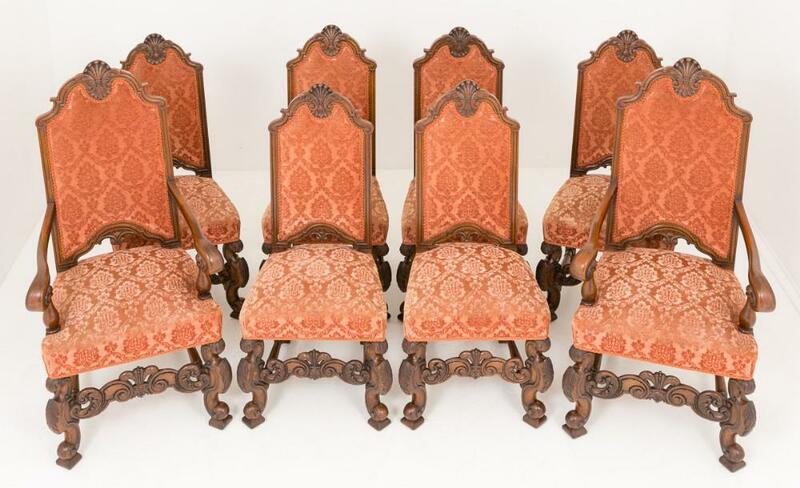 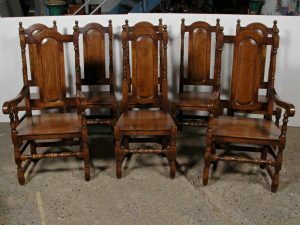 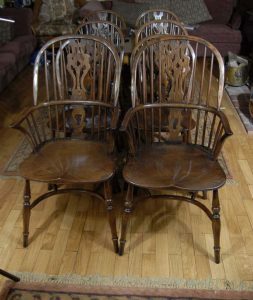 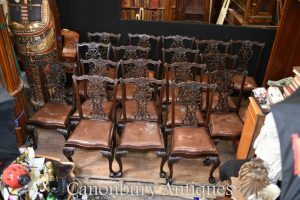 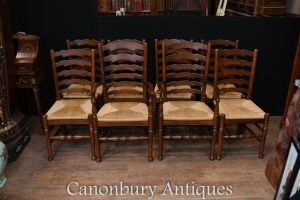 Set of 8 ( 6 + 2 ) Oak Dining Chairs. 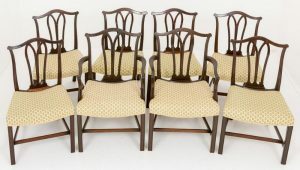 These chairs stand on turned legs with turned stretchers. 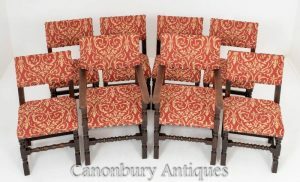 Recently reupholstered in a typical tapestry fabric and feature large brass stud work.